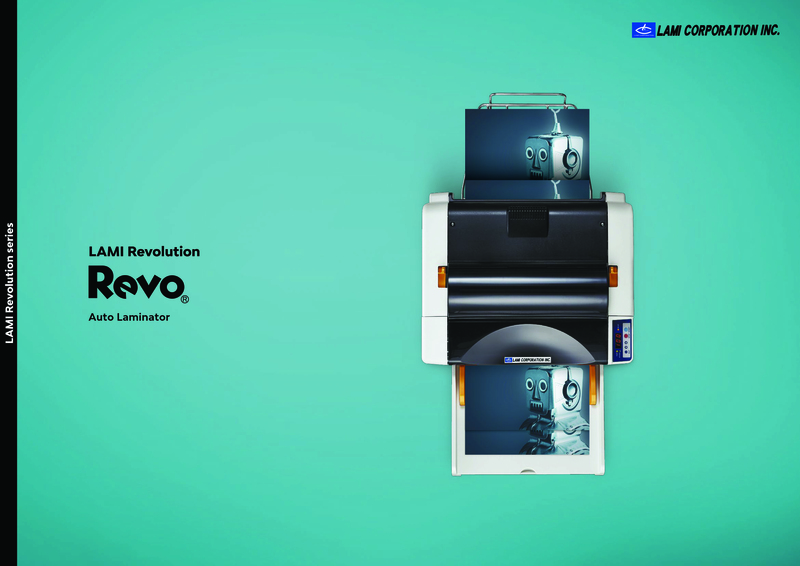 Revo-Office is "Economical Full Automatic Laminator" Revo-Office can do laminating from feeding papers to cutting automatically. 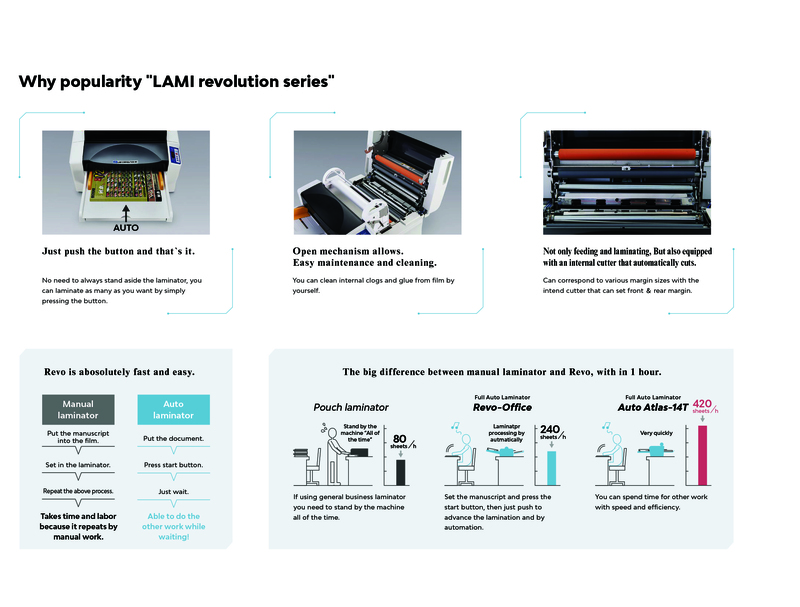 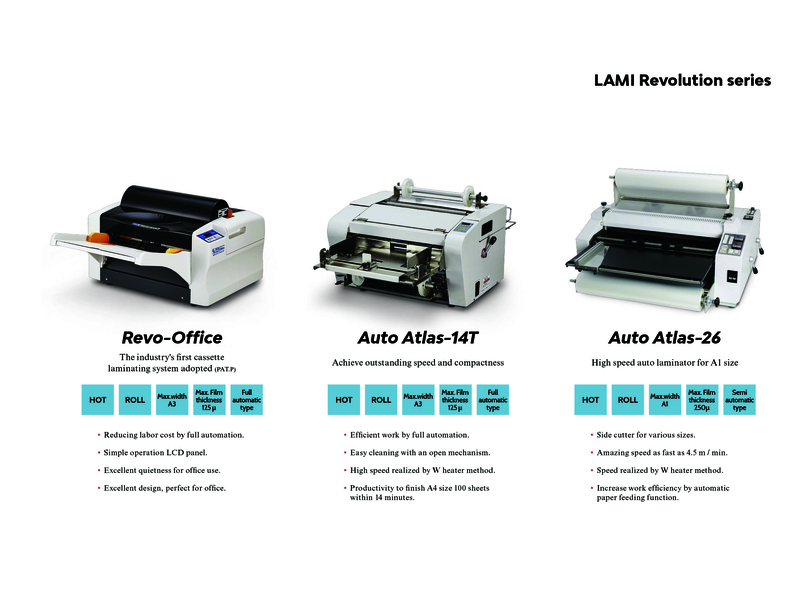 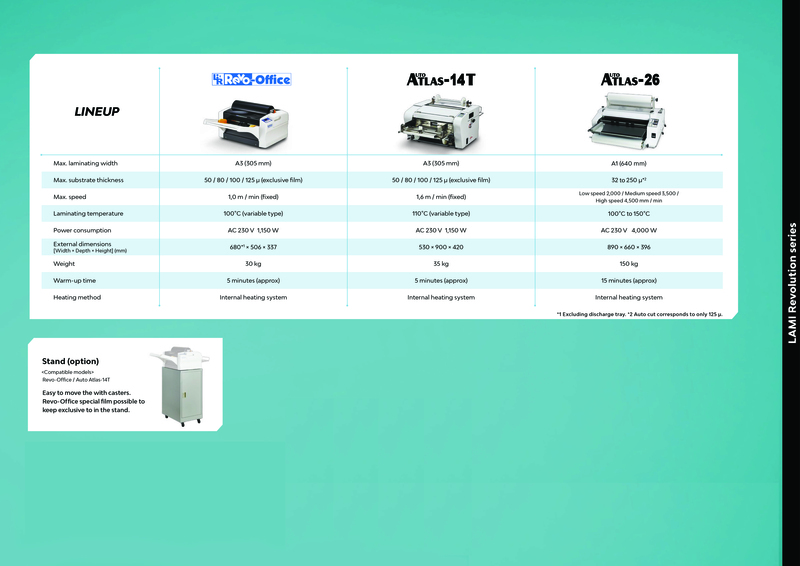 Compared to regular automatic-laminator,film setting of Revo-Office is extremely EASY! 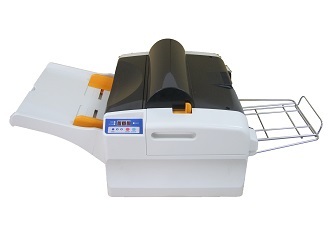 Possible easy inside clean by dopting "Cover open fuction". 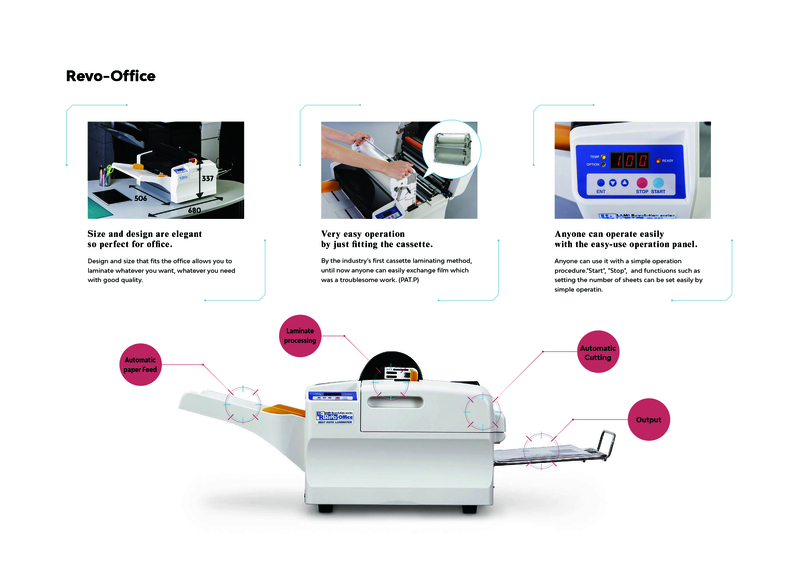 *2 Not include discharge tray.